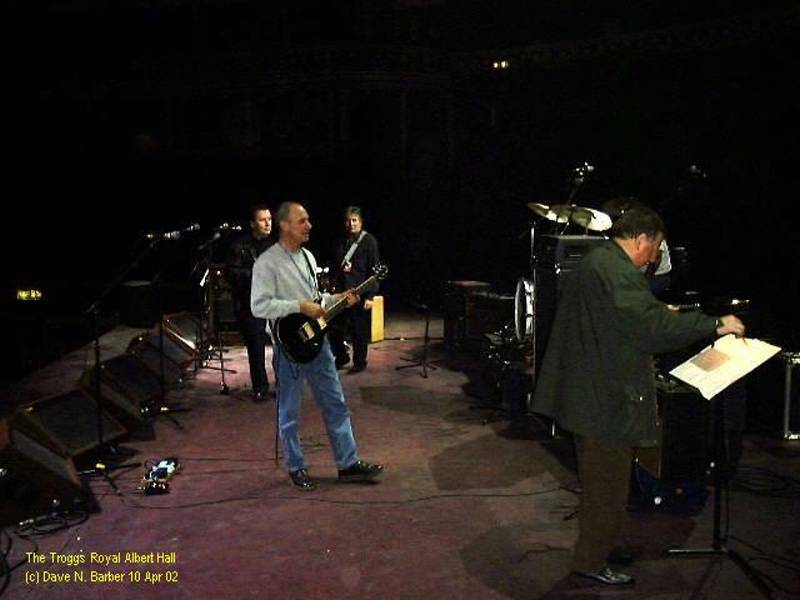 Colin conducts the Strings on 10 Apr 02 at The Royal Albert Hall, London during the sound check. If you look closely you will just be able to make out (from left to right) Reg Presley, Chris Britton, Pete Lucas, Colin Frechter and Dave Maggs. Oh yes you can!